Built in 1868, this example of mid-19th century architecture is one of the oldest homes on its original foundation with its original exterior. On April 9, 1898, two residents of this home, Marcel and Mary Lambeau, gave birth to their first child, Earl "Curly" Lambeau. Curly went on to star in football at Green Bay East High School, located just 5 blocks from this spot. He then briefly attended Notre Dame University in 1918, scoring the first touchdown ever for Notre Dame's first year football coach, Knute Rockne. In August 1919, Curly and George Calhoun co-founded a football team that became the Green Bay Packers. Chosen as captain before the first practice, Lambeau played for the Packers through 1929 and coached them through 1949. He won a record six NFL championship, including a record three straight from 1929 - 1931. Both records remain unsurpassed. 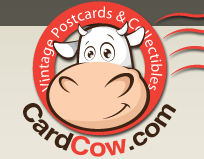 The marker is located on southbound North Irwin Avenue, between University Avenue / Wisconsin Highway 57 / 54 (to the north) and Elm Street (to the south), at 617 North Irwin Avenue, Green Bay, Wisconsin 54302. NOTE: There is no parking at the marker location; park across the street in the school parking lot (see photo below). See also, Packer Heritage Trail Marker 16: Curly Lambeau's Birthplace Home, also at this location. 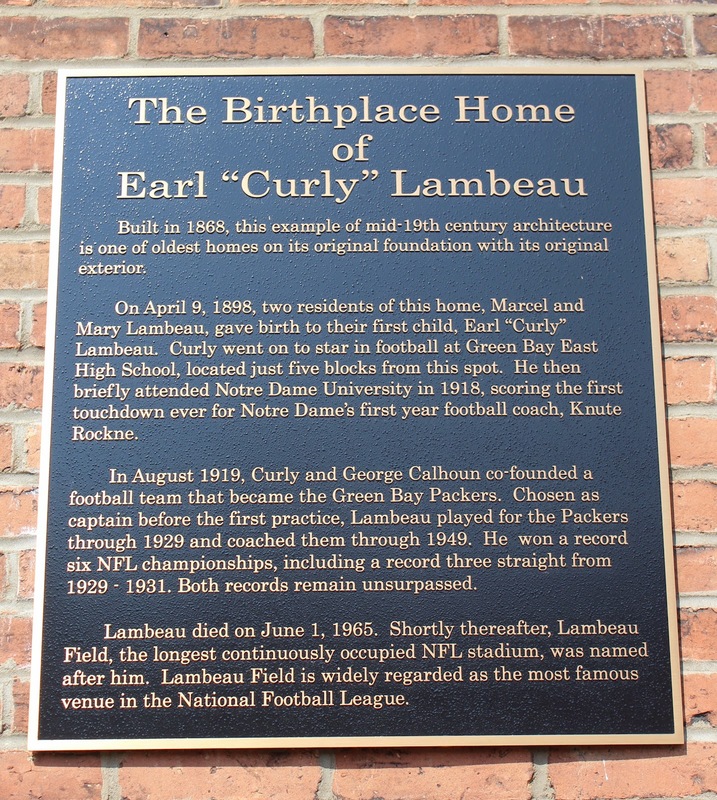 Brown County Historical Society presented The Birthplace Home of Earl "Curly" Lambeau with its 2005 Historic Preservation Award for Adaptive Reuse. Click here for a list of all Brown County Historical Society Historic Preservation Awards properties. Use the "BCHS Historic Preservation Award Winner" label below to view all properties included on this website. 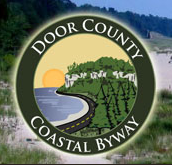 The property is a Brown County historic sites recognized by the City of Green Bay. The property is an Historic Site Recognized by the City of Green Bay.